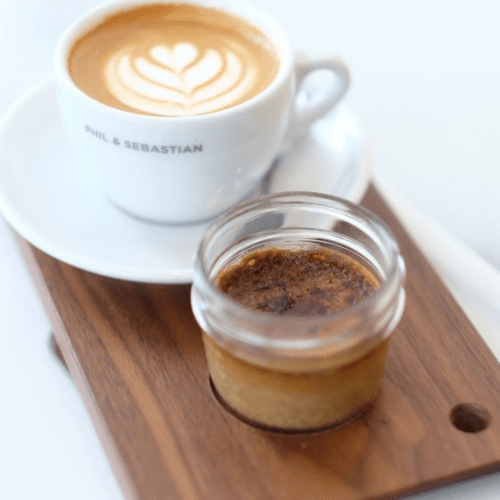 Other than the usual cream, sugar and milk combinations, people around the world have found it convenient to mix the caffeinated brew with certain ingredients which would make westerners shiver. It is hard to believe that people drink stuff like these and initially, it will make you wonder why they would do so in the first place. Anyway, if you want to try an exotic way of brewing your early morning tonic, be my guest and try these combinations out. Do You Want Charcoal with That? 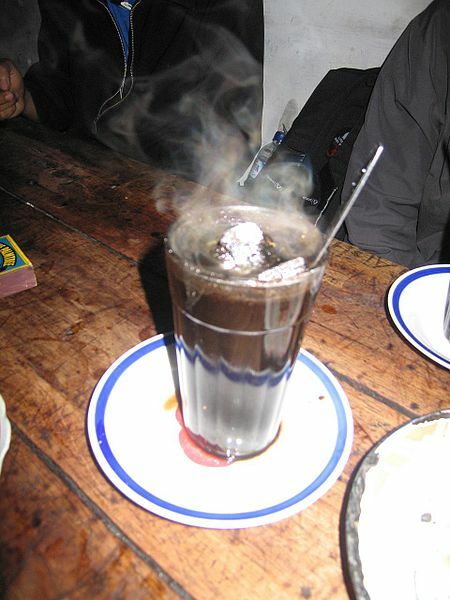 Kopi Joss. Photo from Ivan Lanin. Wait, really? People actually drink coffee and burning hot charcoal? This way of brewing coffee originated in Indonesia (the same country where Civet poop coffee is popular) and a cup of which is called Kopi Joss. Basically, it’s just regular coffee: instead of cookies though, you dunk a piece of still-burning charcoal into the drink. Good luck with the ashes. 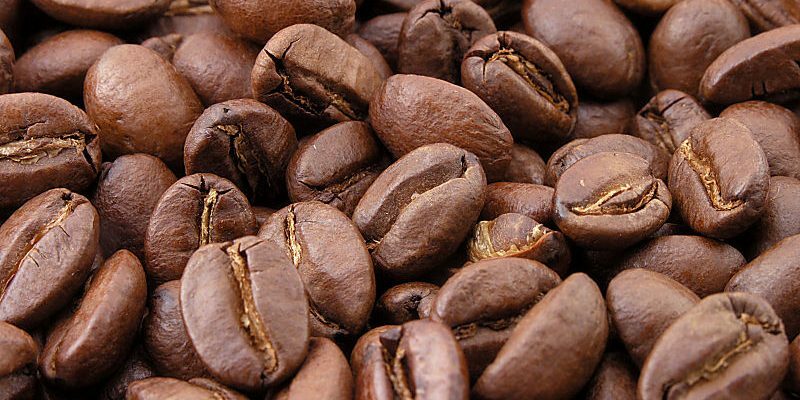 The technique is said to eliminate the coffee’s acidic properties. It’s perfect for people who suffer from acid reflux! 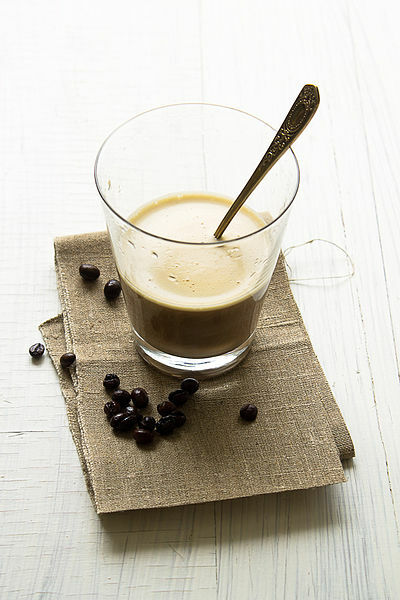 Vietnamese egg coffee. Photo from Migle Seikyte. The next time you head to Vietnam, be sure to tell the waitress you want your eggs cooked or else they’ll put it on your coffee. Obviously, it’s a joke, but like all jokes there is some truth to it. This brew is called Cà Phê Trứng, and mixes up coffee and egg yolk. Though you’d rather have the egg on your plate, this coffee has received good reviews, thanks to its non-bitter taste and smooth sensation. Try adding a pinch of salt into your regular cups of coffee! Photo from Phil and Sebastian. Do people from Transylvanian countries, Ethiopia and Turkey have a weird taste? Probably, though I’d say they are more inclined to salty-tasting food given that adding a pinch of salt into their coffee is a popular practice in their countries. Wait, what? Yes, they add salt into their daily dose of caffeine, thanks to the kitchen condiment’s ability to reduce its bitterness. So, instead of cream, milk and sugar, why not try adding salt instead? Overall, we may have our own preferences in the way we make our coffee, but it wouldn’t hurt trying the above mentioned brews out!